We welcome the British Columbia Cancer Agency Sindi Ahluwalia Hawkins Centre for the Southern Interior to Sosido this week. 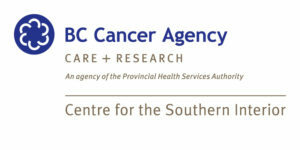 BCCA Southern Interior promotes cancer research, education, prevention, diagnosis and treatment, serving people from the Boundary, Cariboo, Kootenay, Okanagan, Similkameen and Thompson regions of British Columbia, Canada. IPOS members receive their first Sosido digest this week, and other Sosido members can customize their digests to follow the work of BCCA Southern Interior. Welcome to Sosido! If you’d like more information about how Sosido works, see our series of 2-minute video tutorials.